Find out what’s next as a change in leadership in Washington has put many of the bureau’s rulemakings, both past and present, in doubt. 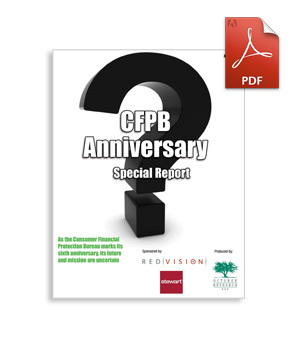 Thanks to co-sponsors RedVision and Stewart, the report is available to you as a free download. Is this Richard Cordray’s final year as director?